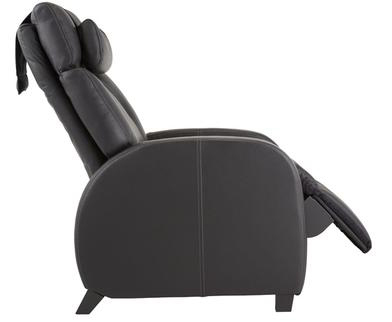 With Positive Posture, you will enjoy a stylized, high-quality recliner chair with True Zero Gravity®, along with a full range of other sublimely relaxing options. All this in a chair that is beautifully designed, built to the highest manufacturing standards, and backed by one of the industry’s best power recliner warranty. In-Home Delivery and Setup is Included in the Continental USA. 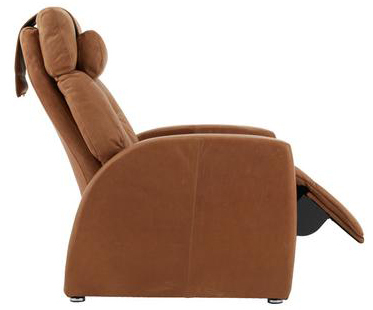 Inspired by the NASA recognized neutral posture position ideal for diminishing and ameliorating the effects of gravity on the human body, Positive Posture® power recliners allow you to elevate your legs above your heart and maintain a neutral posture at any angle of recline. You’ll gain total control of your seating posture. By evenly distributing bodyweight from head to toe in the most ergonomic, comfortable, and healthy position possible, pressure and pain are relieved and true, total relaxation is achieved. 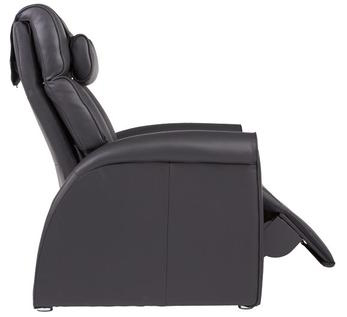 When you sit down and operate Positive Posture’s power reclining feature, you will immediately notice how quiet and smooth the chair’s movements are. You will be able to fine-tune each position to your own comfort profile with dual controls that allow for the subtle, independent movement of both the seat back and the leg rest. Leather and Fabric Recliners In A Variety of Colors Positive Posture offers two outstanding models in your choice of leather or fabric: the classically elegant Duke Recliner and the sophisticated, transitional Luma Bresine and Luma Merona Recliners. 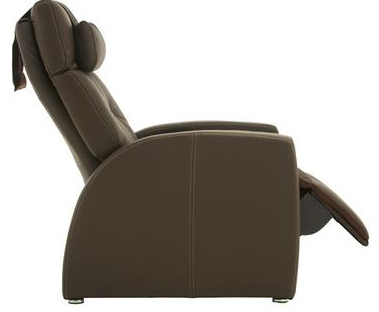 The Luma recliner model has options for color and coverings, including black and brown leather. Quality, Modern Recliners With a Superior Warranty Built to exacting standards, Positive Posture recliners are subjected to rigorous product testing. Our testing protocols involve performance parameters set far above furniture industry norms. Every inch of your new True Zero Gravity® chair is painstakingly evaluated in an effort to provide a product with years of comfort and durability. Positive Posture chair will provide you with many years of trouble-free use. 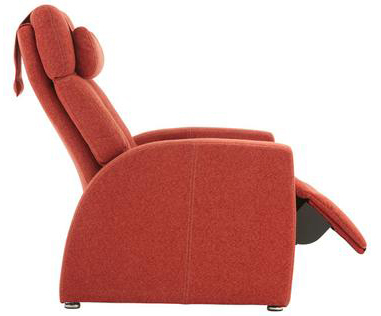 No other chair can be so completely customized to your unique, personal comfort. Recliner Back Therapy Pillows & Other Customization Accessories In addition to the infinite number of combined back and leg rest positions, your Positive Posture chair can be fully customized with one or more lumbar pillows (one comes standard with every chair) or the ergonomically designed cervical pillow for head and neck support (standard with the Luma Recliner). The headrest can also be adjusted to conform to the perfect angle for maximum, personalized comfort and support. No other chair offers this level of customization and the number of micro adjustments that enable you to Find Your Comfort®.